The conventional way to treat disc bulges, herniations, back pain and sciatica is through medications and injections. This approach, however, simply masks the pain without getting to its root cause. Although you may feel better, your spine hasn’t been healed. As a result, you may engage in activities that can cause you to further injure your spine. Medications also come with numerous side effects, particularly if they’re used for an extended period. Fortunately, spinal decompression can relieve pressure on one or several pinched nerves of the spinal column. This state-of-the-art technology applies a force to the targeted compressed disc. The pressure gently pulls the spine apart, lengthening it and forming a small vacuum between the vertebrae, which pulls the disc back into shape. The vacuum also permits water, oxygen and nutrient-dense fluids to enter into the disc to allow the spine to heal and relieve the pain. Negative intra-discal pressure is the medical term for this vacuum-like outcome. While chiropractic is highly effective for relieving back pain, spinal decompression is often more effective than only chiropractic care when treating acute disc herniations. A harness will be fitted around your hip area as well as a harness around your upper back. 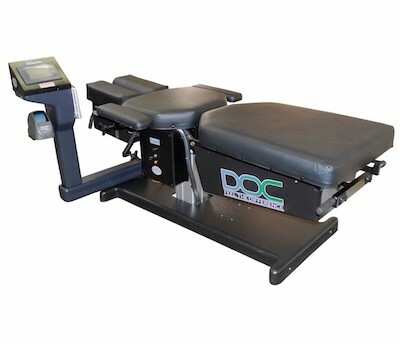 Once you’ve been fitted with these, we will have you lie down on a computerized table that is programmed for your customized treatment plan. Each treatment, which is comfortable and painless, takes about 20-30 minutes, so it’s easy to fit into your schedule. Though every patient’s care plan is different, the typical treatment plan ranges from 24-28 sessions over eight weeks. Most patients experience significant relief in as few as six sessions. If you’ve been searching for a safe and natural way to get relief from your spinal condition, contact Life Chiropractic & Wellness Centre today. We will obtain your medical history, perform a thorough physical examination and take X-rays of your spine. The results of these all will be evaluated to help us determine if spinal decompression could benefit you. Reach out to us today to get started with Brampton spinal decompression!